614 newcomers received Temporary Domicile Certificate (SKDS) during Population Operation (Binduk) which is held at RW 01 Batu Ampar, Kramat Jati, East Jakarta, Wednesday (7/18).
" 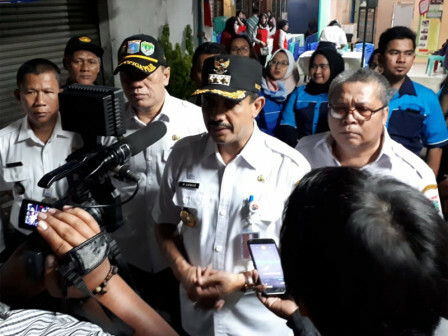 This operation is done by approaching newcomers to serve and give them SKDS"
East Jakarta Population and Civil Registration (Dukcapil) Sub-dept Head, Sukma Wijaya said, joint personnel which are divided into four groups, are coming to rented houses and lodging houses at RT 01-10 of RW 01 Batu Ampar. Those who don't have Jakarta ID are listed and gathered at RW secretariat to received SKDS. "This operation is done by approaching newcomers to serve and give them SKDS. We also serve Jakartans related to population documents administration since we prepare mobile service car," he explained.